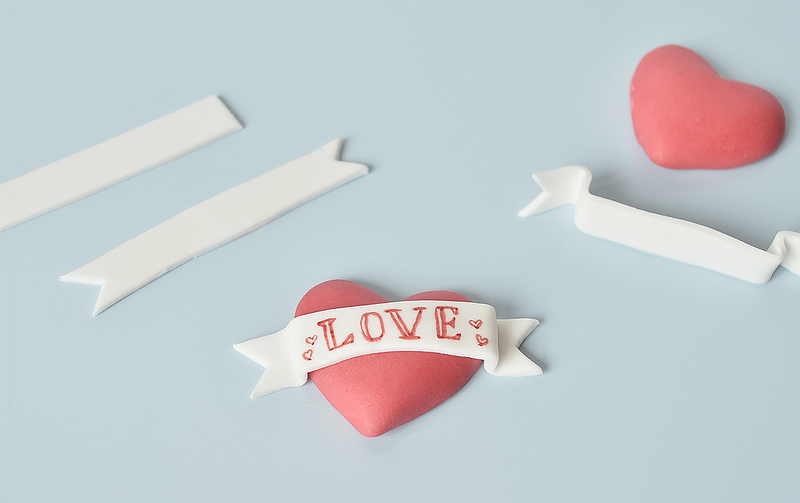 We are so very pleased to have the very talented Vicky Turner from The Yellow Bee Cake Company here do a guest post on how to make some very cute and simple Valentines Day cupcakes. Not only does Vicky make gorgeous cupcakes and cakes she has a wealth of knowledge when it comes to tricks and tips on creating your very own cupcakes at home. How gorgeous are these little cakes? Please let us know if you decide to make any – we would love to see your photos. Handing you over to Vicky now to give you step by step instructions on how you can create your very own Valentines Day Cupcakes. Enjoy! Edible Ink Pen in Red, or whatever colour takes your fancy. A Sharp Knife or Scalpel. Pre-coloured Red Icing. You can buy this in most supermarkets. Knead ½ tsp of Tylo Powder into 250g of sugarpaste. It can be used straight away, but is best left wrapped for a few hours. Roll your Red icing into smooth balls and roughly give them the shape of a heart, so that they fit into the mould. Use your thumb and fingers to push the paste into the mould. 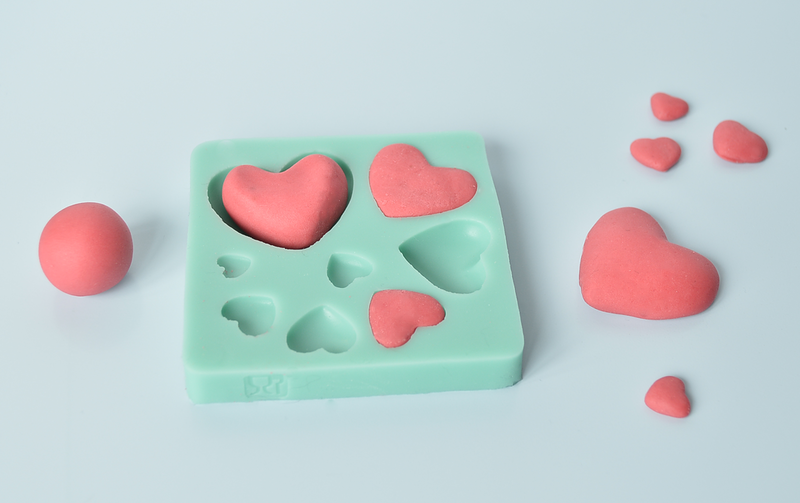 Leave the hearts in the mould for a few hours to let them dry to shape. Gently rock and bend the mould until the icing starts to come loose. If your icing is sticking you can try adding a small amount of icing sugar or trex to the mould before you put the icing in. Step Two: Making your banner. Roll out your White icing until it’s about 1mm thick. Cut out a long thin strip of paste. Use your knife to cut a “V” shape into each end (see above). Use your fingers to bend the paste, so that it wraps around the heart. Once you’re happy use a small amount of glue or water to attach the banner to the heart. Next up is the writing! 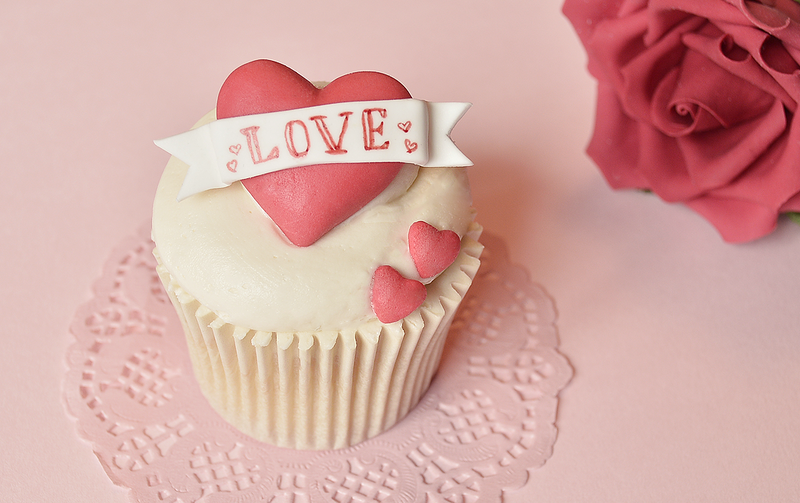 Who do you want to dedicate this cupcake too? I chose to simply write “Love” on mine, but you could write anything that takes your fancy, as long as it fits! Step Three: Piping and decorating. To pipe this cupcake, I filled a disposable piping bag with buttercream, snipped off the end to create a hole about 2cm in diameter and piped a swirl starting from the outside and working in. Feel free to use a nozzle if you wish 🙂 Place the Heart in the centre and then use any spare hearts you’ve made to decorate the cupcake. I often get asked the differences between all the various icing names. Here is a simple guide. Sugarpaste/Fondant/Ready To Roll/Ready Ice – These are all the same icing, just with different names. Just to confuse you! This icing is used to cover cakes. 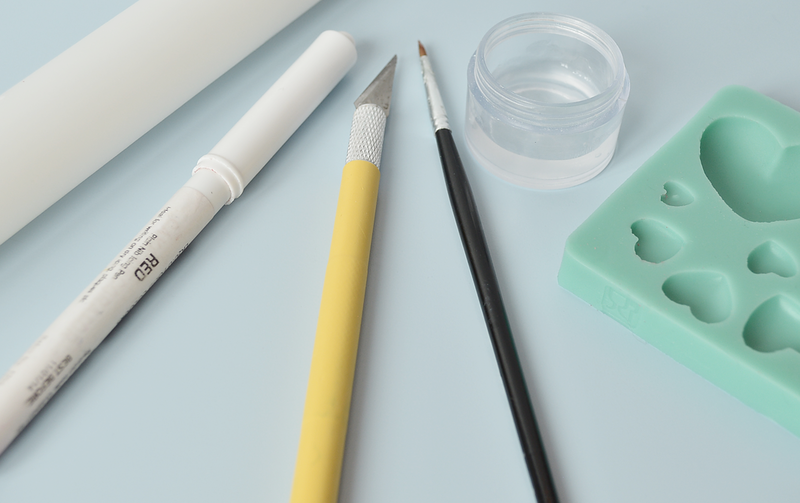 Modelling Paste/Gum Paste – This icing is used to create models and detailing on cakes and cupcakes. The recipe is at the start of this guide if you wish to make your own. Flower Paste – This has a nice simple name, it’s used for making flowers! Those beautiful delicate flowers you see made from sugar are made from this paste. You can also model with it. I hope you enjoyed this tutorial if you’d like to see more of my work pop over to my facebook page https://www.facebook.com/YellowBeeCakeCompany where you can find details of my latest classes.